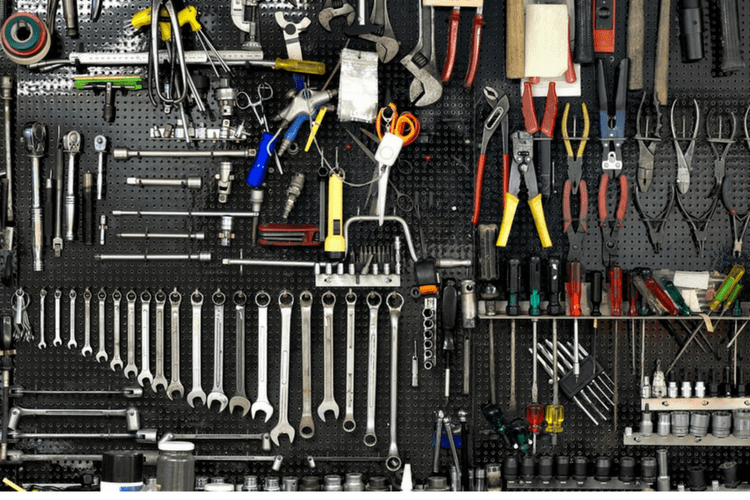 7 Ways to Organize Your Garage | Gold Eagle Co. If your garage is so disorganized that you can’t safely park your car in it, it’s time to make some changes. 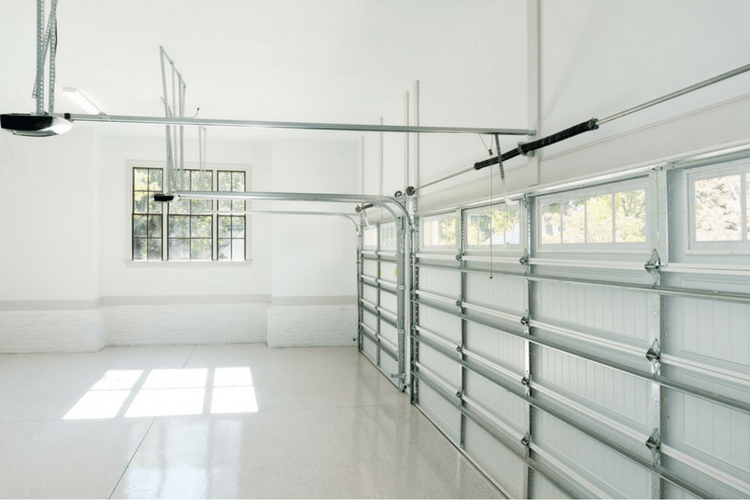 You deserve more functional space at your house, and organizing your garage is a start. So if you’re wondering how to organize a garage on a budget, check out these ideas. The easiest way to organize your garage is to reduce the amount of stuff you store in it. 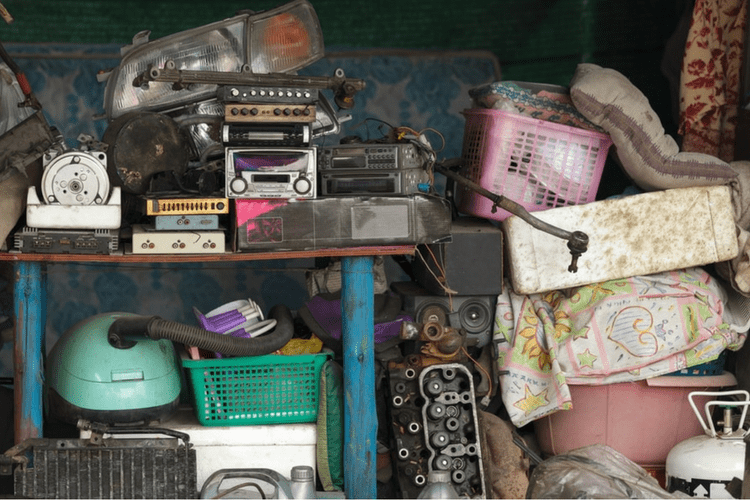 As you go through what you have, you’ll likely find a lot of items that no longer work or that you haven’t used in years. Consider tossing, donating or selling these items. You might just cut your work in half as you figure out how to store the remaining stuff. Now that you’re only left with items you actually need, sort through and decide if the garage is the right place for them. You might realize that a lot of the items in your garage would be better off elsewhere. For example, if you store pet food in your garage, move it inside the house, because the scent attracts bugs and rodents. If you’re storing paint in your garage, know that extreme temperatures can destroy it, so it’s better off inside the house. And if you’re storing propane in the garage, put it in the backyard, for safety’s sake. Once you have just the things you plan to keep in the garage, it’s time to divide them into categories. The most common categories are holiday décor, landscaping necessities, tools, sporting goods, camping gear and car equipment. For now, just put everything you have into piles that correspond with these categories. You should tailor your storage containers to the items you have. For instance, you might need to buy a few large storage containers for holiday décor, plus some small containers for smaller décor, such as bulbs and ornaments. And you probably need some small metal containers to store your tools, along with tiny jars or boxes for screws, nails, etc. If you store chemicals in your garage, consider buying a locking chest or shelf so children don’t have access to them. One of the simplest garage organization DIY ideas is to buy shelves to attach to the walls. Your garage will look best when everything is up off the floor, and the walls offer plenty of space for storing numerous containers. You can either buy shelves or make your own out of plywood. Either way, consider attaching some hooks to the walls, too, so you can store tools like rakes and shovels. Another great way to organize a garage is to put some of your bins overhead. After all, the space above may be the only area of the garage not in use already. You can buy or build a variety of overhead storage options, everything from shelves to hooks. Once you put everything in containers, consider convenience as you decide where to store them. For example, everything you use frequently should be easy to access, so store those containers on a shelf at eye level. You can put items you rarely use on the top shelf. If you have a workbench, store your tools near it as you organize the garage. And if you have sporting gear you bring out often, such as golf clubs, store them by the garage door so you can easily put them in your car. Now that you know how to organize a garage on a budget, you can safely put your car in this part of your home. Plus, now it will be easier to locate anything you store in the garage, from sporting gear to holiday decorations.